It’s late August and our thoughts turn to buying bulbs to plant this fall for spring flowers next year. With the garden design in progress, an overall busy summer, and a garden so dry that it seems to be sucking not only water from the faucet but bulb buying motivation from my very gardening soul, I have not yet purchased bulbs. This means that each and every one of you who just now thought, “Oh, no! I need to order bulbs”, needs to wait just a darn minute or day or two until I’ve ordered mine. Then you can order yours. I don’t want anything that I want to be sold out. While you are waiting, I have three acronyms to help you remember some basics of bulb planting. Please study these and don’t buy any bulbs until you have committed them to memory and reported back to me. This should give me time to order my bulbs before you order your bulbs. Our first acronym, SLOP, stands for Straight Line Obsessive Planting. I’ve written before of the tendency of some gardeners to always plant in straight lines. Don’t do this with bulbs. Do not plant your bulbs in nice neat lines so they will come up like little Soldiers of Spring. Save that kind of planting for your vegetable garden. 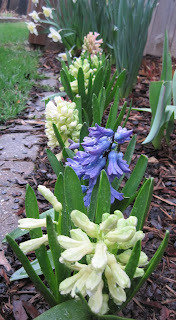 Instead, plant bulbs in groupings. Think swaths. If you have an entirely blank canvas, as in you aren’t trying to plant the bulbs in and around all kinds of shrubs, trees, and perennials, you can dig one big hole, set all the bulbs in place… not in lines, in groupings… and then cover them all at once. It is much easier and faster to plant bulbs this way. And while you are at it, plant odd numbers of bulbs. Our second helpful bulb planting acronym is GOBS. When ordering bulbs, don’t think in terms of three bulbs or five bulbs or even seven bulbs. You need GOBS of bulbs because the mere fact that you are thinking about bulbs now means you are probably afflicted with Gardener's Obsessive Bulb Syndrome (GOBS). Or you will soon be suffering from it if you read enough blog posts about how we are all ordering, or have ordered, gobs of bulbs for fall planting. Now you want gobs of bulbs, too, admit it. But regardless of whether you are afflicated with this syndrome or in complete denial, to have a good spring display of flowers, you will need to plant gobs of bulbs. GOBS of them. And finally, our third acronym – NOT, “Not Only Tulips’. 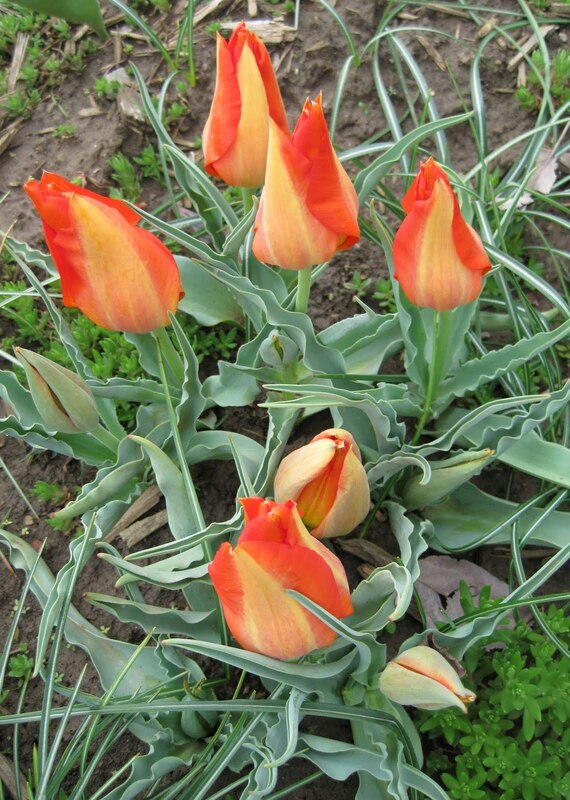 When you are picking out bulbs, don’t just think you will plant a few tulips and be done with it. That’s not how we plant bulbs! You know better because you read gardening blogs. Think instead about how your garden will have Not Only Tulips but all kinds of other flowers blooming because just tulips would be boring. And if you don’t know about other bulbs to plant, run to your nearest bookstore or library and get a copy of the classic gardening book, “The Little Bulbs: A Tale of Two Gardens ” by Elizabeth Lawrence and read that to be inspired to fill your garden with a variety of bulbs, Not Only Tulips. And a bonus acronym, you will NOD off from boredom if you plant only daffodils. Think NOD, for Not Only Daffodils, to remind yourself not to do this. So remember, SLOP, GOBS, and NOT/NOD, three acronyms and three keys to having a glorious bulb display in Spring 2011. (This post inspired by Three for Thursday, suggested by Cindy at My Corner of Katy). Carol this post just cracked me up! I agree with Jackie, this has been a hard habit to break, planting bulbs in straight lines...I am doing better though. Thankfully I do not seem to suffer any of these acronyms, well actually I do GOBS… To plant bulbs you must plant in groups, and lots of them. 100 may sound like a lot, but once you’ve plopped in a few groups, it doesn’t go very far at all, as I learned last year. So far I’ve ordered over 500 (post to follow sometime) and am still worrying it isn’t enough. 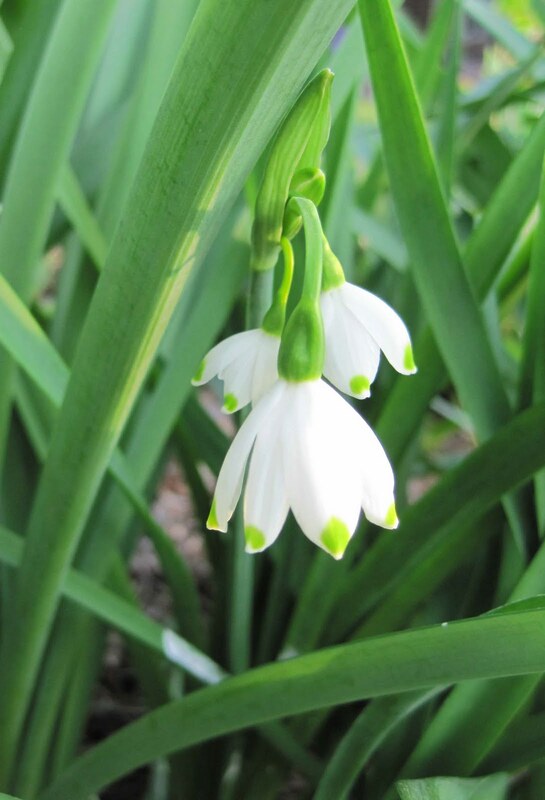 Bulbs are not bulky plants, they’re usually dainty, small things so take up minimal space and therefore need high numbers to produce maximum pleasure. I haven't even begun to think of bulbs yet! I guess fall is appraoching faster than I thought! I think I need a 12-step program for bulbs. I definitely order GOBS of them! Our Bulb and Plant Mart is coming up in October and I'm already trying to figure out a way to limit the damage I do to the credit card. From August through November, the constant refrain in my head is "Surely I can squeeze some in over there?!" Hi, love your posting on this. Haven´t ordered any yet. I promise :-) thanks for the advices! As I was falling asleep last night I started a mental list of bulbs I want to order, so this is a much needed post. I rarely remember to order bulbs early enough so your selections are probably safe from me! 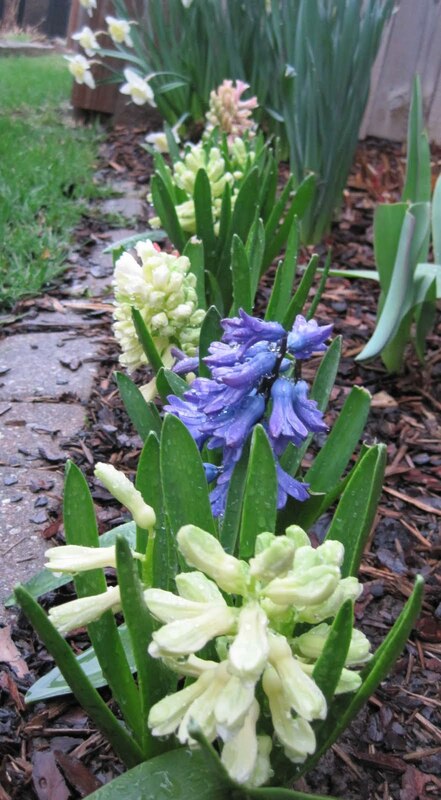 Actually, I have been thinking about ordering bulbs, but I will wait until you've ordered yours--if you hurry:) I used to plant mine in straight lines until I learned the correct way from you--now I have colorful groupings instead; thank you! I order a lot of bulbs from Breck's, just because they always send me catalogs, and I noticed this year they've added something new--the average life of a bulb. I thought that was really helpful; now I'm going to look for tulips that last longer so that I don't have to keep replanting them every other year. I'm thinking about ordering bulbs - and now I remember I can't remember exactly where I replanted some snowdrop bulbs where I would see them early in the spring. I need a multi-season garden map to handle this.